Hollywood icon and queer visionary Jodie Foster stars in the new thriller Hotel Artemis. 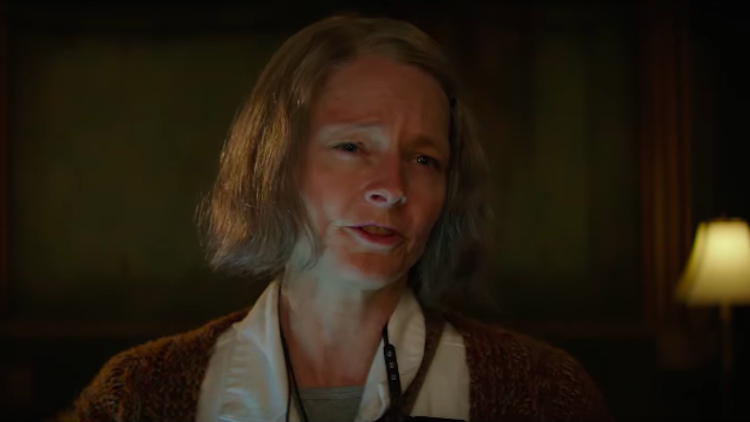 Jodie Foster is the creepy hospital owner of our (scary) dreams in the new trailer for Hotel Artemis, written and directed by Iron Man 3's Drew Pearce. The film tells the story of the Hotel Artemis: a secret hospital for criminals in the dystopian near future version of Los Angeles. The plot follows criminals played by Sterling K. Brown and Brian Tyree Henry who need to attend the hospital after an armed robbery gone wrong. Rounding out the cast are such stars as Sofia Boutella, Jeff Goldblum, Jenny Slate, Zachary Quinto, Charlie Day and Dave Bautista. The sci-fi crime thriller hits theaters June 8.